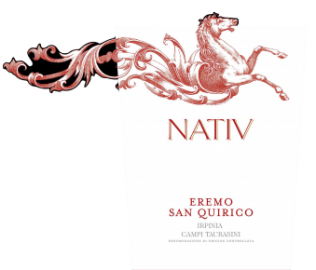 Eremo San Quirico is the winery’s top red wine, made with 100% aglianico grapes sourced from an old vineyard that carries the same name. It is a deeply concentrated wine, ruby red in color. Rich and full on the palate, smooth with aromas of red fruit, cherries and spices. This is aglianico in its purest form and it will be best enjoyed with red meat dishes, game, aged cheeses and rich, hearty meals. This wine was rated 99 points by Italian wine critic Luca Maroni on his ‘Annuario dei Migliori Vini Italiani’ for several consecutive years (2009, 2010, 2011, 2012, 2013, 2014 and 2015 vintages). 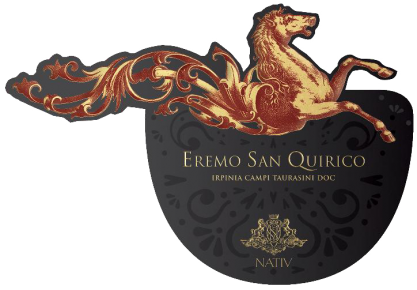 The 2009 vintage Eremo San Quirico was named overall the best red wine of the year. - 2015 rated 99 LM, 91 JS, 90 WS – The 2015 vintage features a new stylish label. Harvest is slightly late in October. Grapes are carefully selected and harvested by hand, then transported to the winery in small 20kg crates. Soft pressing and maceration on the skins for approx 20 days in stainless steel tanks, followed by fermentation always in stainless steel. Aged in new French oak barriques for 12 months.